I’m always on the look out for new pork dishes. 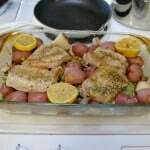 We don’t eat pork a whole lot but when we do there are only 2 or 3 recipes I use to cook it. This means whenever we have pork it gets boring quickly. 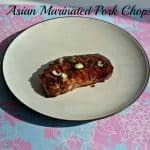 I found a recipe for Honey and Sesame glazed pork chops and thought it sounded interesting. Of course I can’t leave well enough alone so I started tweaking it. We don’t like our main dishes to be too sweet so I cut down on the honey and I added in the soy sauce to give it a more Asian flavor. 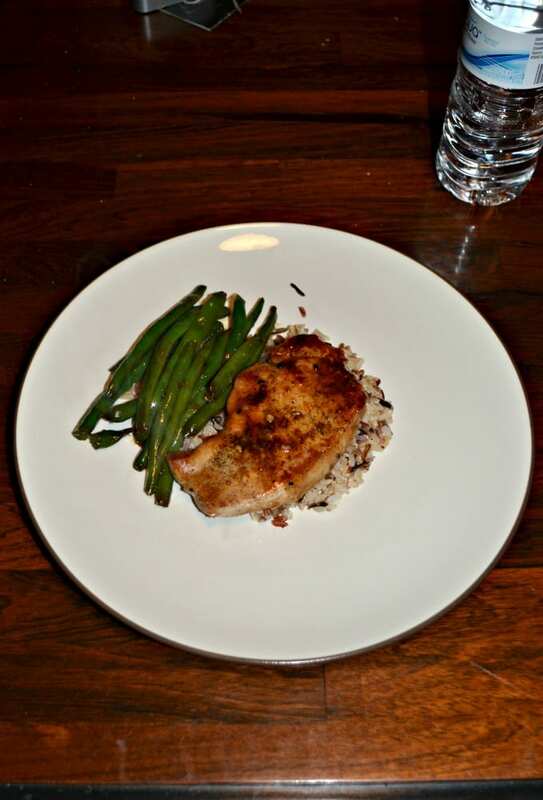 Also, the green beans were supposed to be cooked separately but I thought they would taste good with the glaze on them. Turns out I was right. 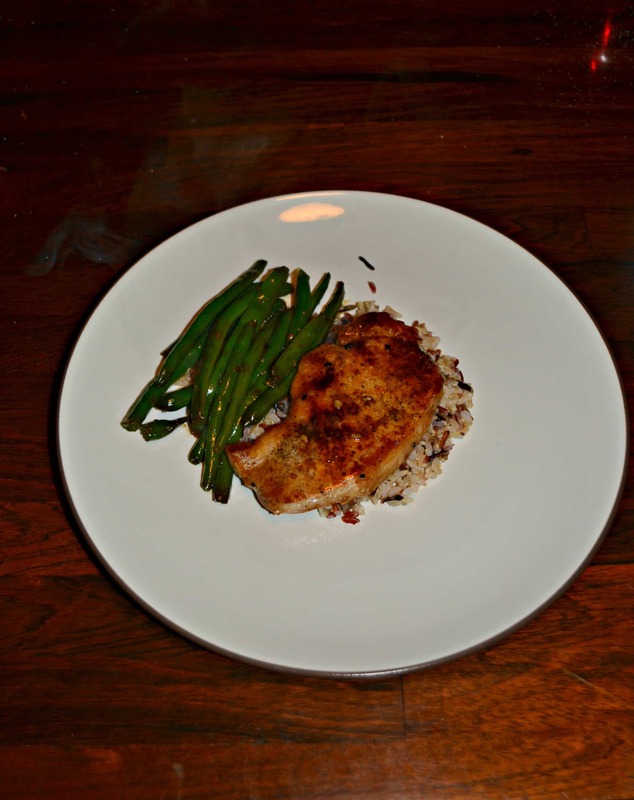 Putting the green beans in the pan with the pork chops was the right decision. 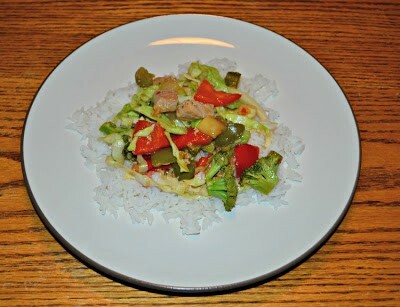 I really liked this dish because it was quick and easy. I had no problem coming home after work and making this tasty dish. I thought the flavor was really good but the sauce wasn’t quite thick enough. 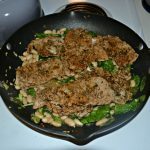 I might add in a little bit of cornstarch next time in order to thicken it up and have it stick to the pork chops. 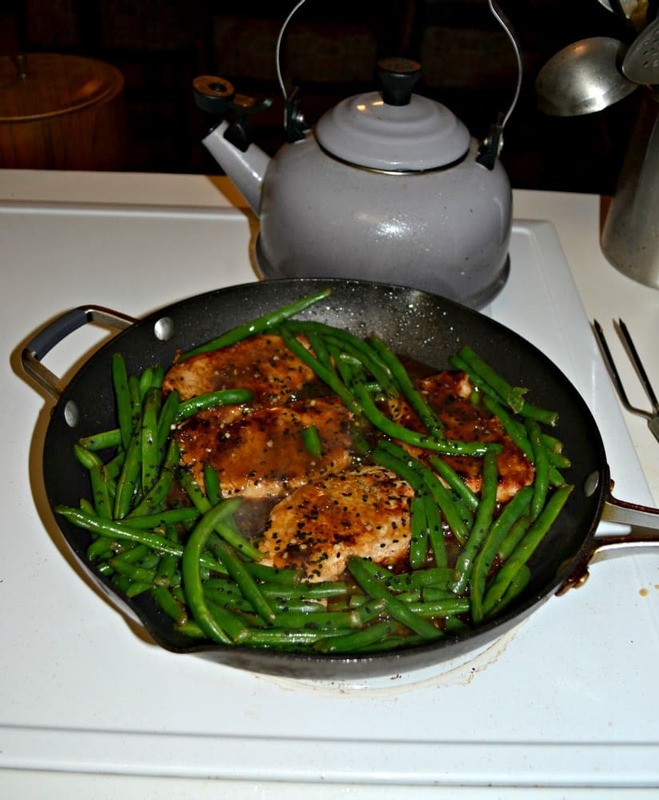 A delicious one skillet meal with a sweet and tangy pork chop served with green beans. In a small saucepan combine the chicken broth, honey, sesame oil, Dijon mustard, and soy sauce. Bring to a boil, whisking occasionally. Reduce heat to medium low and cook for 10 minutes or until it begins to thicken. 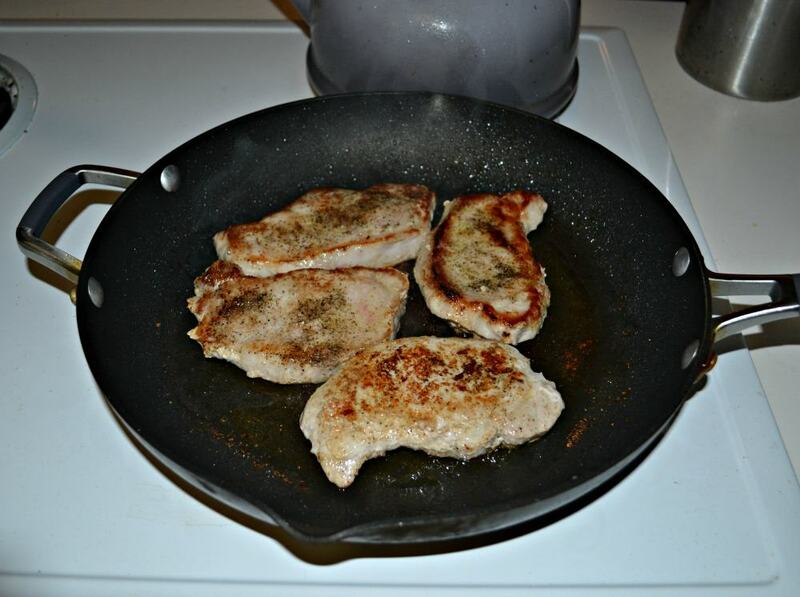 Add olive oil to the skillet and add pork chops. Cook 5 minutes per side. Pour the honey mixture over top of the pour and sprinkle with sesame seeds. Cook the green beans according to package directions. Add to the pan with the pork and honey sauce and cook for 2 minutes. Recipe Adapted from Cooking Light December 2015.